Fitchburg, Massachusetts USA, January 10, 2013 - The TerraLuma Project (University of Tasmania, Australia) is partnering with Headwall Photonics to bring hyperspectral technology to its fleet of unmanned aircraft systems (UAS). Because the richness of imagery data collected via hyperspectral sensing far exceeds that of other methods, TerraLuma is putting Headwall's Micro-Hyperspec sensor aboard its innovative, multi-rotor SkyJib airframe from Droidworx (Waikato, New Zealand). 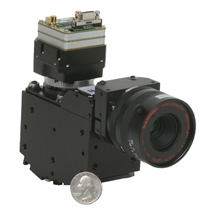 Micro Hyperspec is Headwall's small, light, and power-efficient hyperspectral sensor, designed for hand-launched, low-altutude airborne applications. Headwall's Micro-Hyperspec is a high performance, compact sensor that meets the payload restrictions of these small airborne systems while providing the spatial and spectral resolution needed to 'map' the environment in better detail than ever. Size, weight, and power-draw (SWaP) are key considerations for any airborne application, which is why Micro-Hyperspec appealed to the TerraLuma team. "Environmental remote sensing and aerial surveying represent the kind of groundbreaking work we're known for," said Dr. Arko Lucieer, Team Leader for the TerraLuma Research Group. "Our move to hyperspectral fits with our goal to provide the research community with clear, actionable data that can be captured, managed and delivered faster than ever." David Bannon, CEO of Headwall, remarked on the work of Dr. Lucieer and the TerraLuma team is doing: "Remote sensing utilizing hyperspectral instruments aboard hand-launched platforms represents a high-growth area of research. 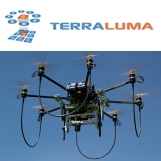 We're very proud to be working with Dr. Lucieer and play a key role as TerraLuma undertakes aerial mapping with our sensors."